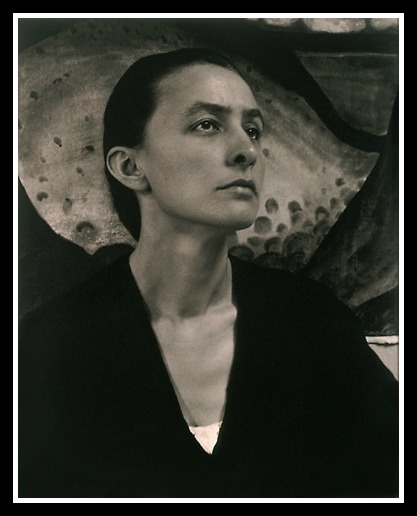 Georgia Totto O’Keeffe was born on November 15, 1887 in Sun Prairie, Wisconsin. 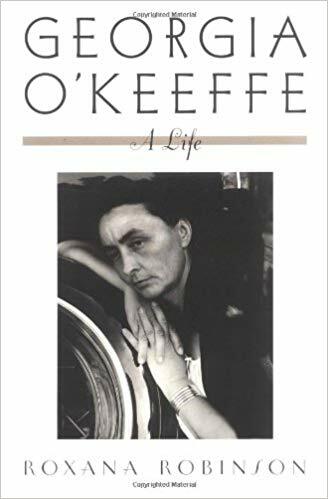 Her childhood on a dairy farm, the second of the seven children of Frank and Ida O’Keeffe, was extraordinary in its ordinariness. She played with dolls, did farm chores, went to school. Her mother was the daughter of a Hungarian Count (who ran away from Hungary, then ran back abandoning his wife and daughters in Wisconsin.) 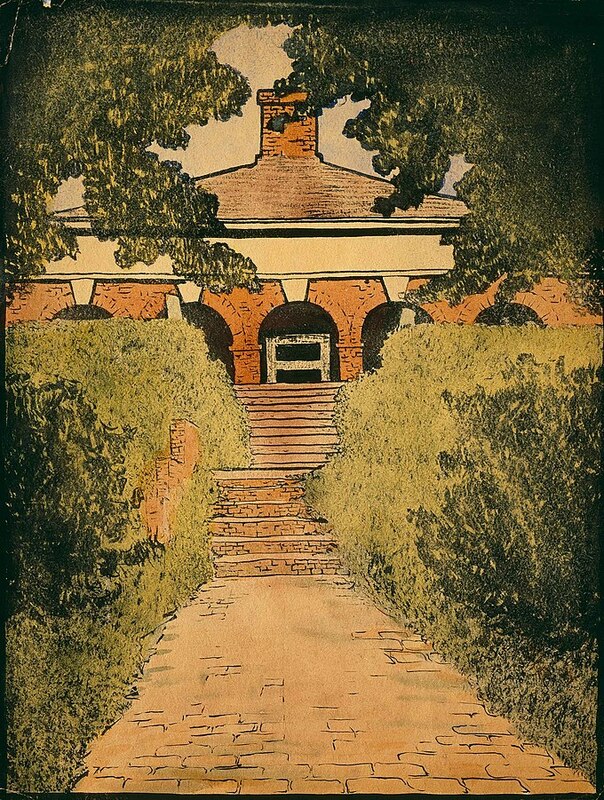 Ida made sure that her daughters had art lessons and even when the family moved to the (promised) healthier environs of Williamsburg, Virginia, Georgia’s parents made sure that their children were educated as well as their dwindling income would allow. 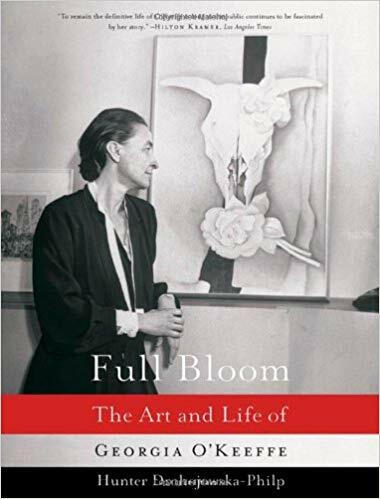 Georgia knew at a young age that she wanted to pursue art farther than a proper ladies’ hobby, and attended the Art Institute in Chicago and then the prestigious Art Students’ League in New York City. She spent time as a commercial artist, then several years teaching – but none was satisfying (although it did feed her and keep her in black dresses and sensible shoes.) 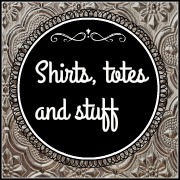 It wasn’t until she had a style breakthrough when she was about 30 that her future started to come into focus. 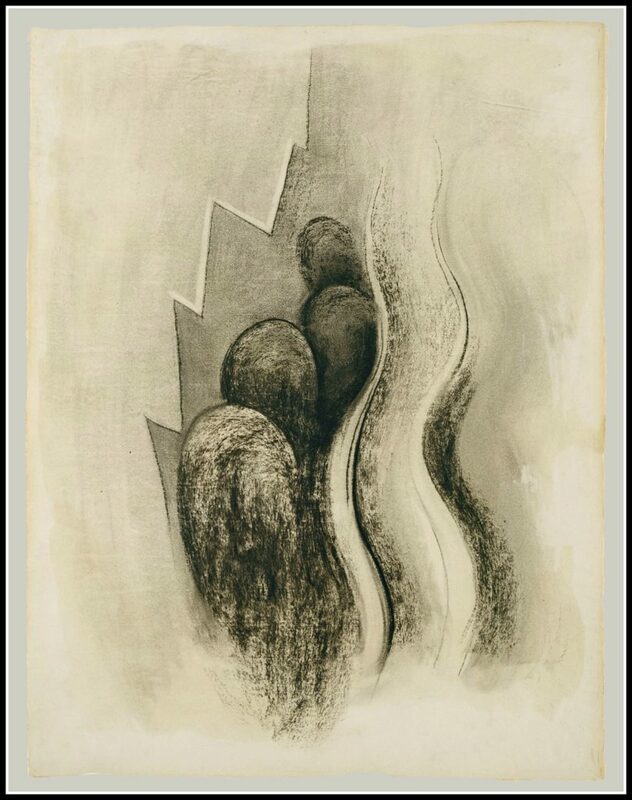 She had sent some of her charcoal drawings to a friend in New York who, against Georgia’s wishes, showed them to gallery owner, art photographer, champion of the emerging modern artist, (and not much of a monogamist, if we’re being honest), Alfred Stieglitz, who realized that he was looking at a special talent. 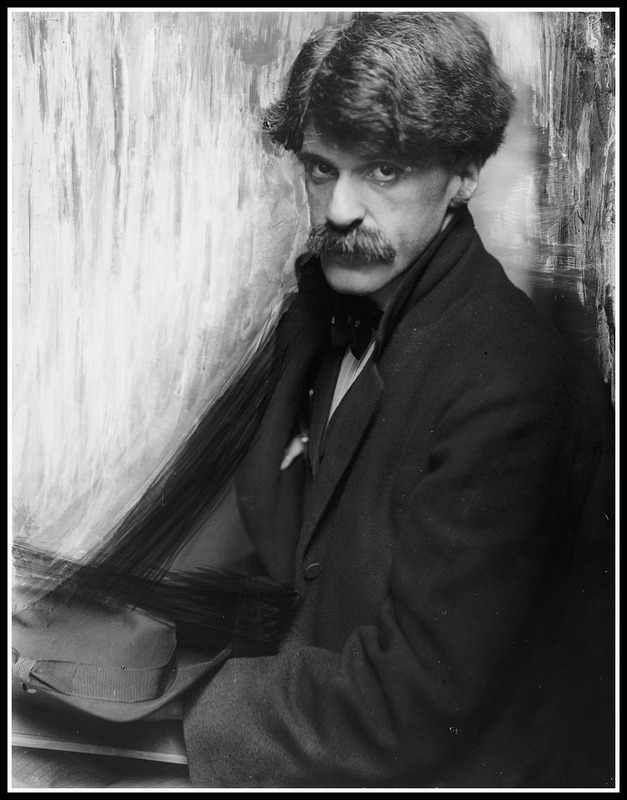 After Georgia quit teaching and moved to New York as a full time artist, Alfred Stieglitz became her mentor, her marketer, her motivator and her man…her fella…her lover…which would have been way cooler if he wasn’t already married with a kid. 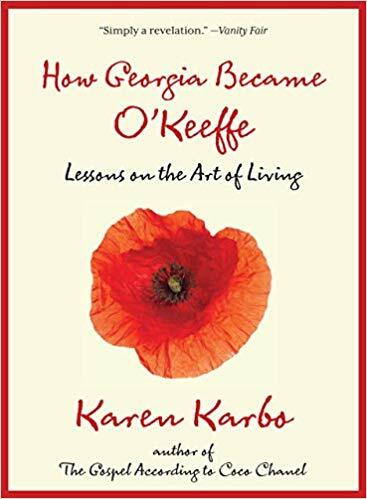 Before women could even vote in the United States, Georgia was creating the flowers (which suggested, to some viewers, “female anatomy”) that she first became known for. 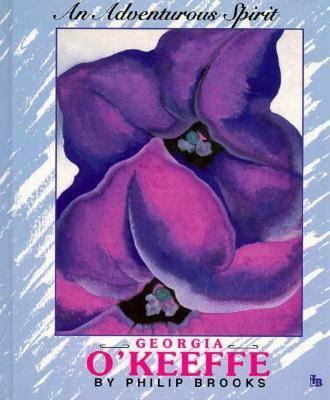 Georgia, however, was painting *flowers*, not vulvas. 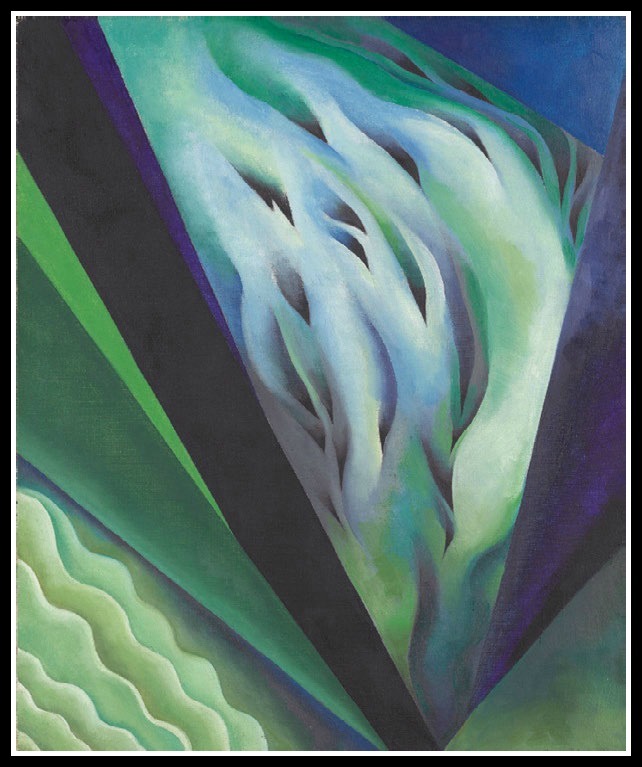 Blue and Green Music, 1919-1921, (or cabbage being cut by a very sharp knife) Art Institute of Chicago. Alfred and Georgia lived together, created art together, made Georgia very famous in the art world together, and, eventually, got married. Georgia wanted to travel, Alfred did not…so she traveled. On a trip to New Mexico Georgia fell in love…with the area. When Alfred died in 1946, Georgia was almost 60. For the last FORTY years of her life she really didn’t slow down, she was too busy painting skulls, bones and mesas; too busy traveling the world; too busy doing whatever the hell she wanted whenever the hell she wanted however the hell she wanted. 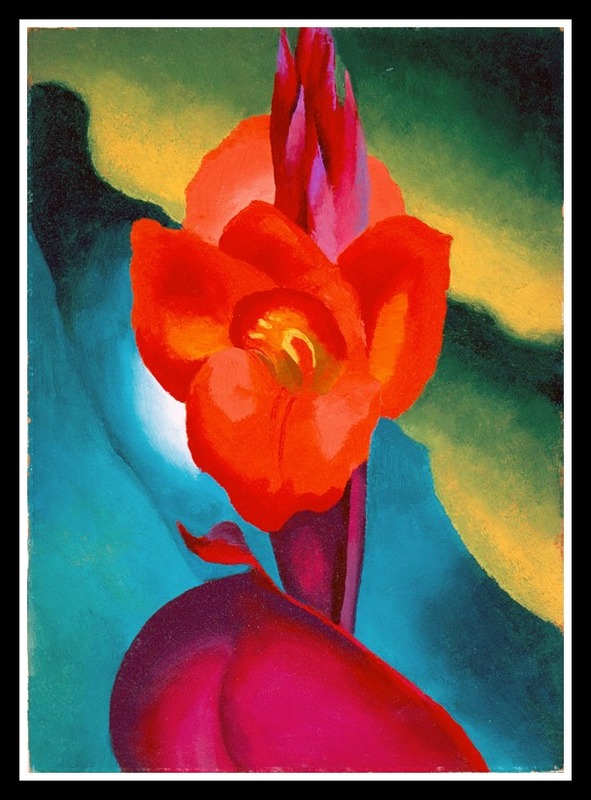 Georgia O’Keefe died on March 6, 1986 in Santa Fe, New Mexico, but her art and her legacy are still very, very much alive. For little kids, a nice introduction. By Jeanette Winter. 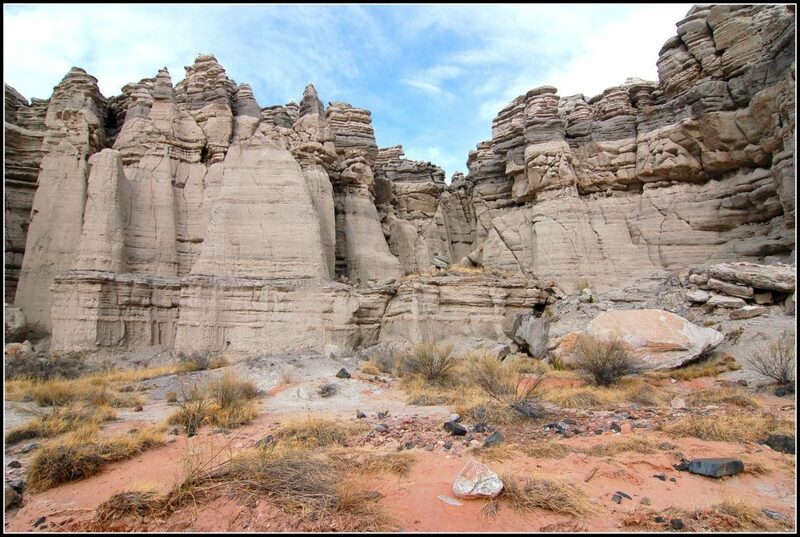 Georgia’s beloved Ghost Ranch is also open with tours and programs. 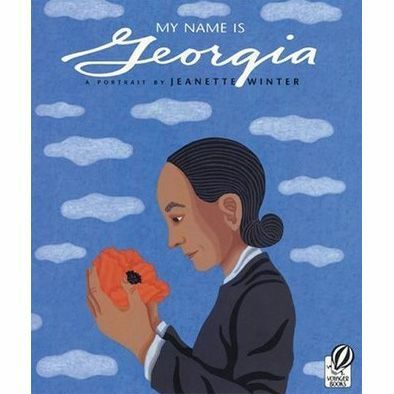 Georgia’s art is all over the place, you can find some at Museum of Modern Art in NY City, The Art Institute Museum in Chicago, and the honkin’ big poisonous Jimson Weed at Crystal Bridges Museum of Modern Art in Bentonville, Arkansas. Art explained by a scene from Ferris Bueller in the Art Institute Museum in Chicago and here is a list of Georgia’s pieces in that same museum! We never did decide how we felt about John (Juan) Hamilton, but here’s an article from Harper’s Bizarre about him, see what you think. Anita Pollitzer and the Jewish Women’s Archive (a great place to tumble into a Rabbit Hole) and the podcast that they produce is called Can We Talk? 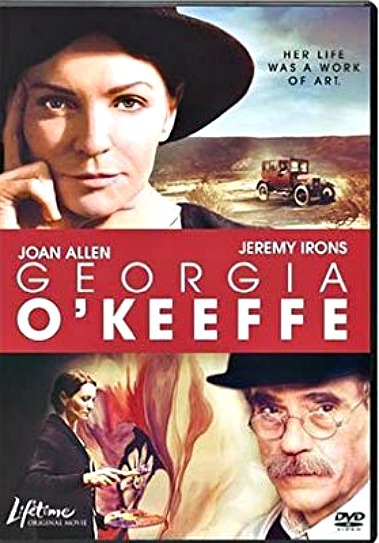 There is only one and it focuses on the relationship between Georgia and Alfred–we thought the acting was very good but the story need more oomph. And we can’t yet find the episode of Psychobitches with Georgia, but here’s the IMDB page and if you can find it, send us a link at chicks@thehistorychicks.com! Special thanks to Beauty by Design and Blue Apron for sponsoring this episode, and very special thanks for those of you who use promo code CHICKS to get specials at both.